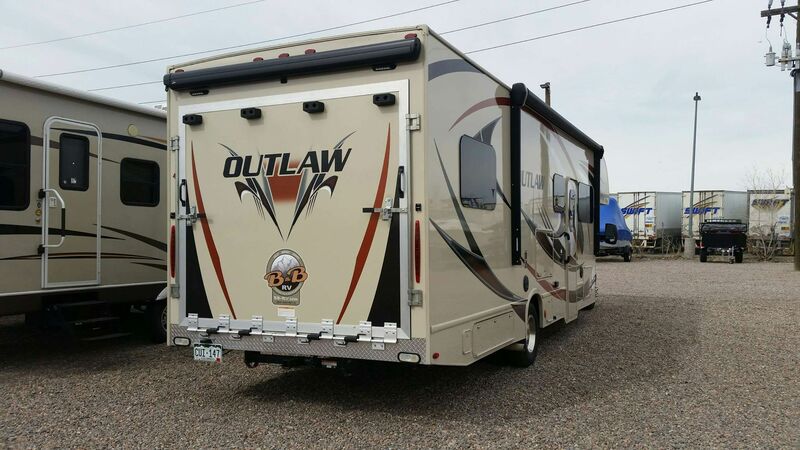 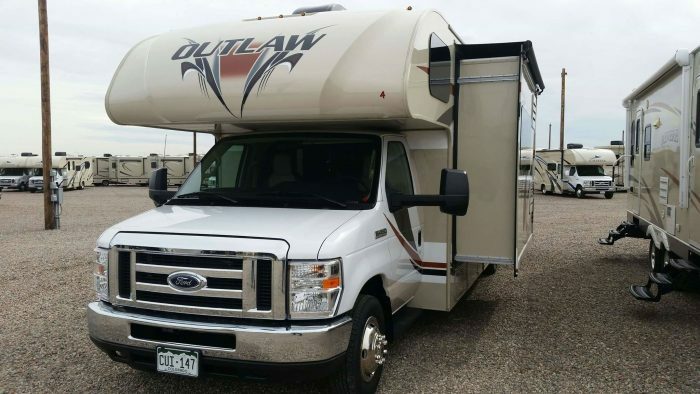 The Thor Outlaw toy hauler allows you to bring a long all of your outdoor accessories. 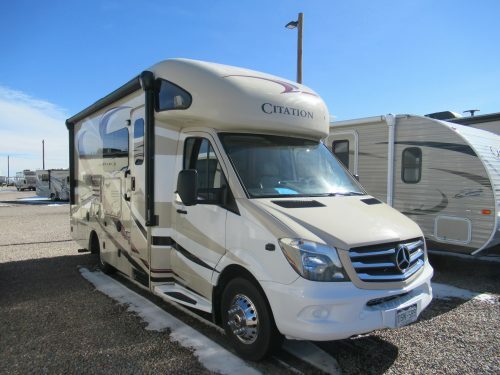 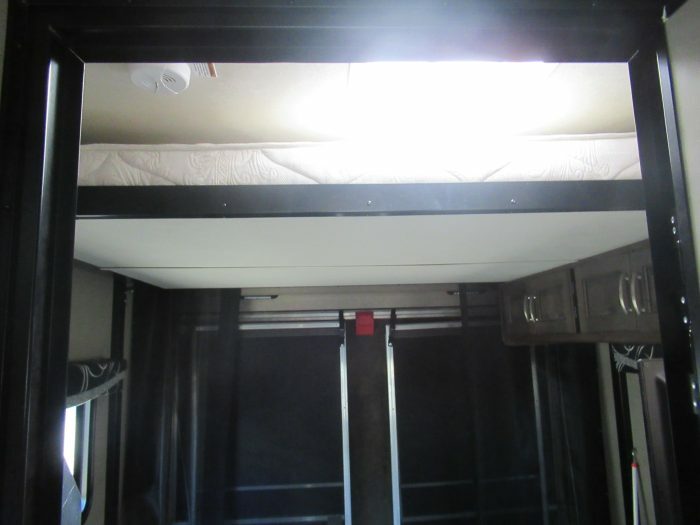 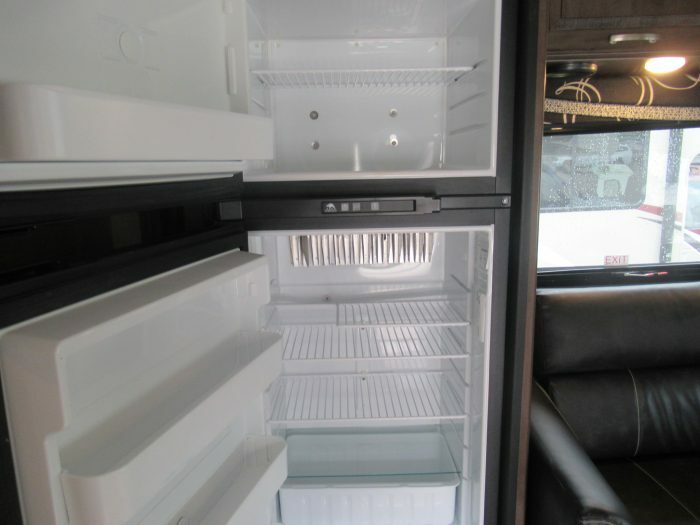 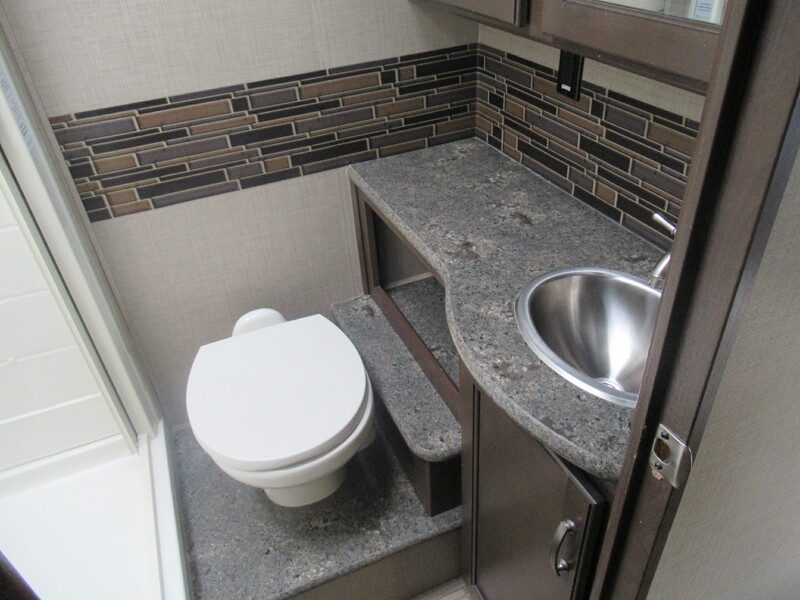 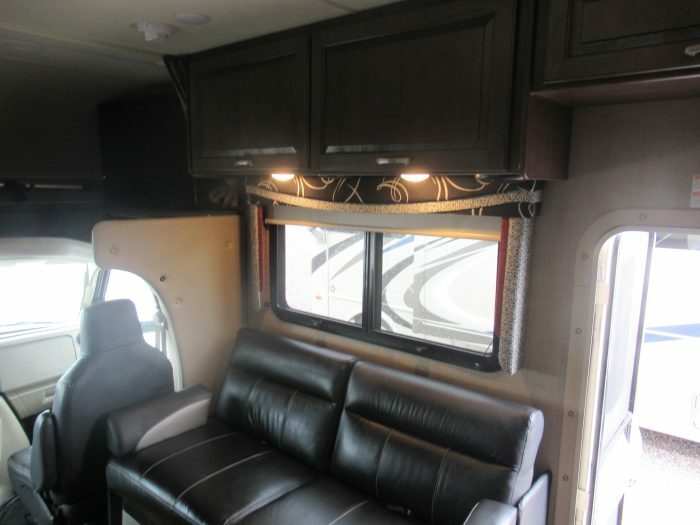 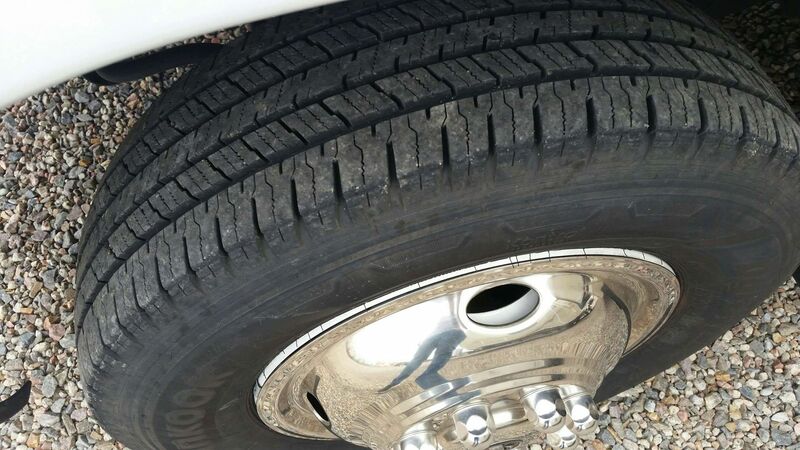 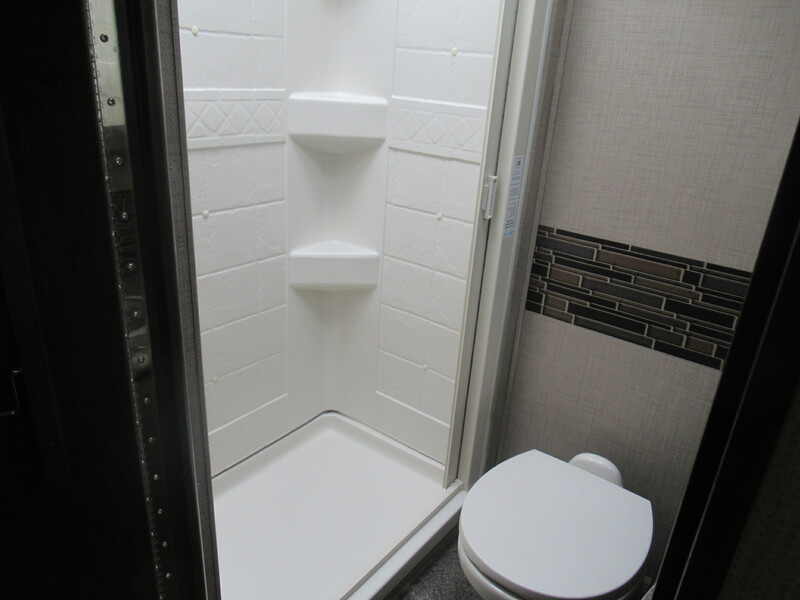 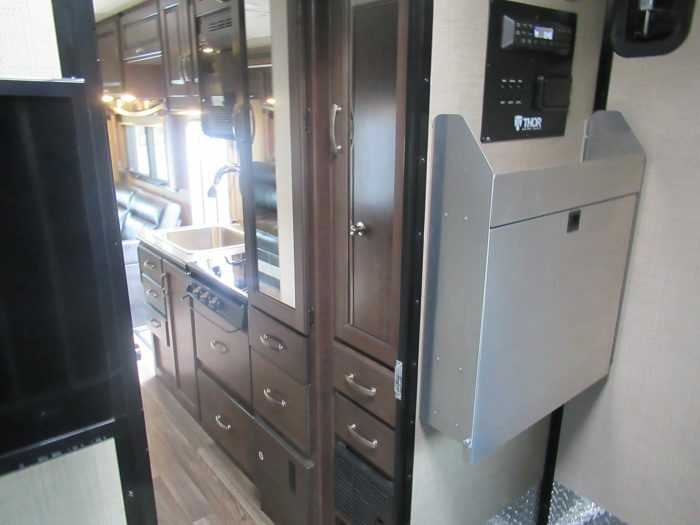 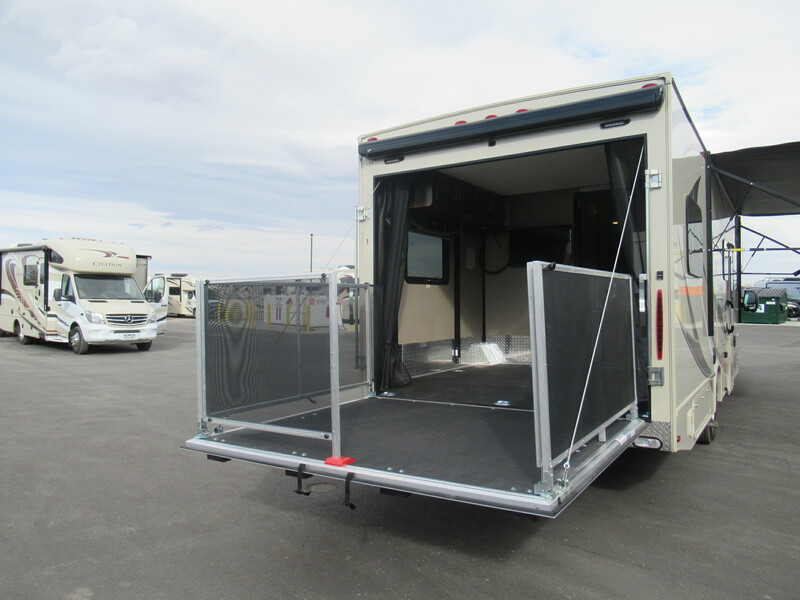 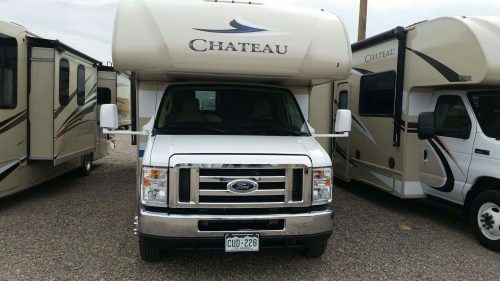 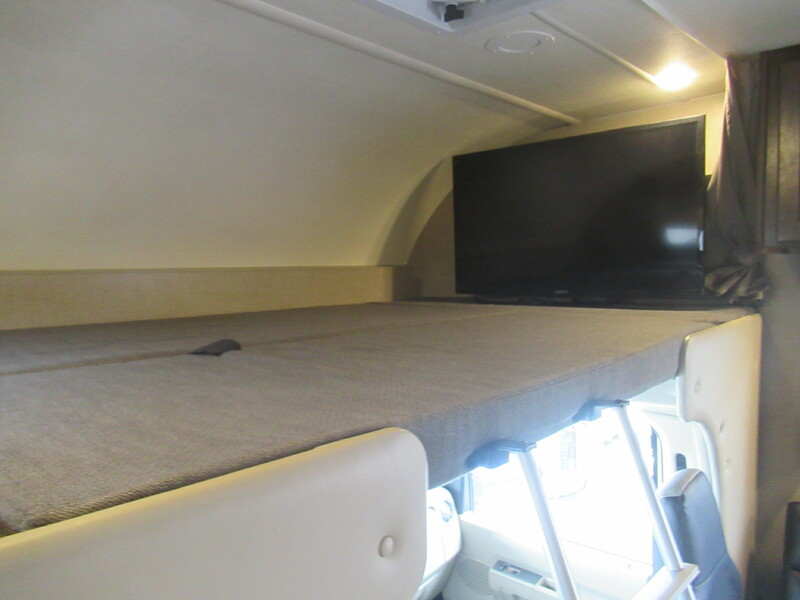 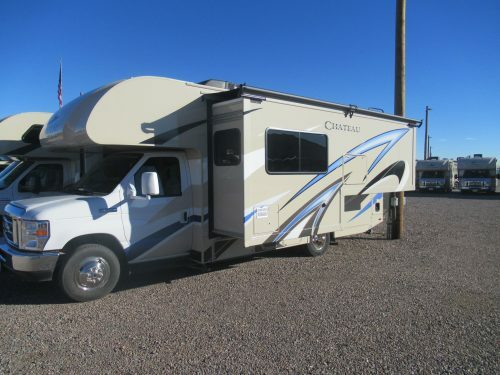 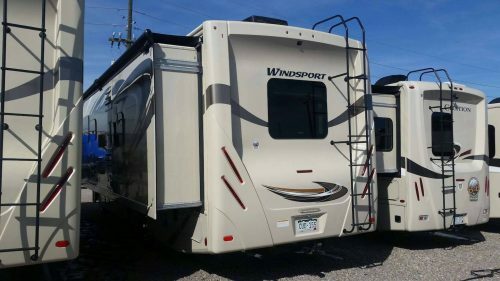 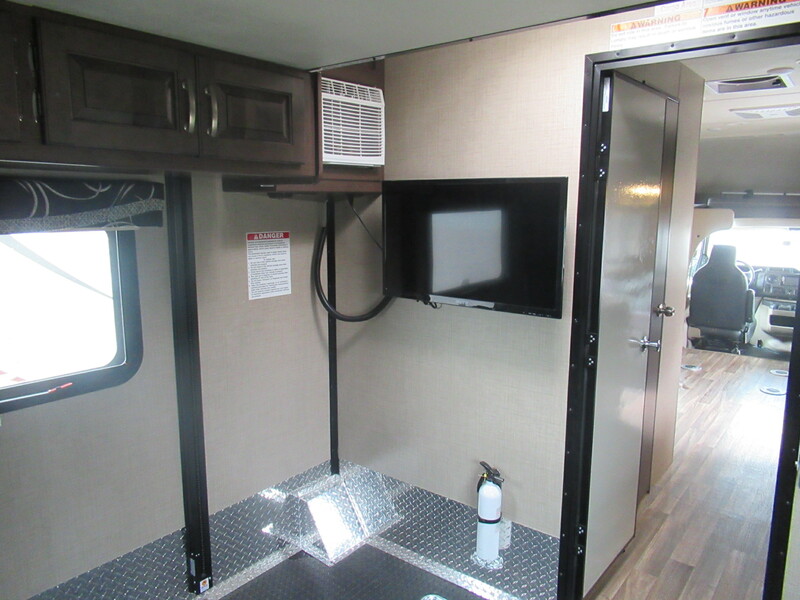 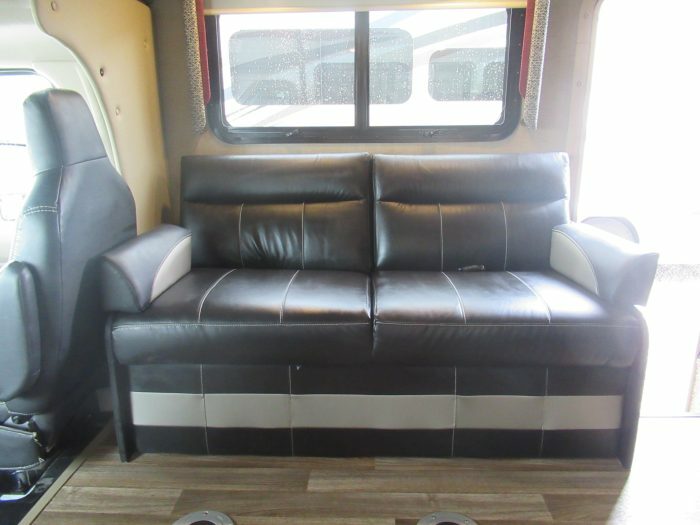 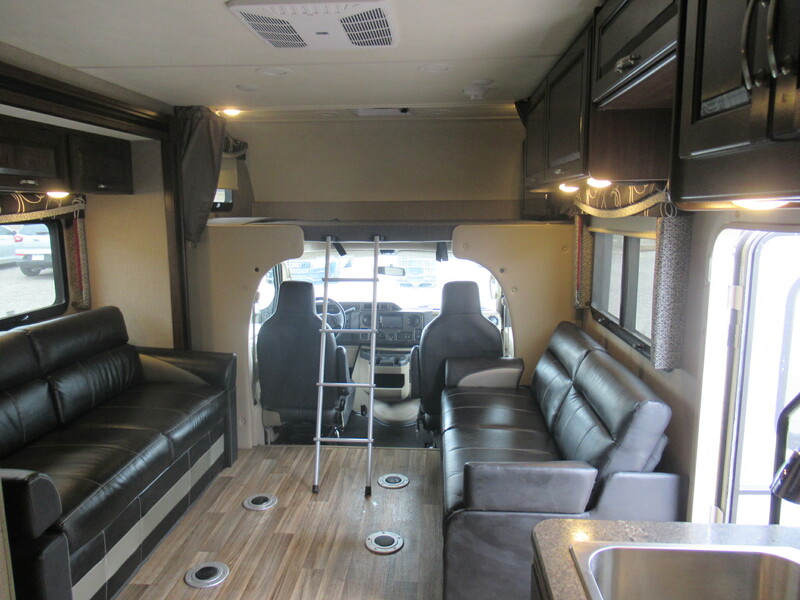 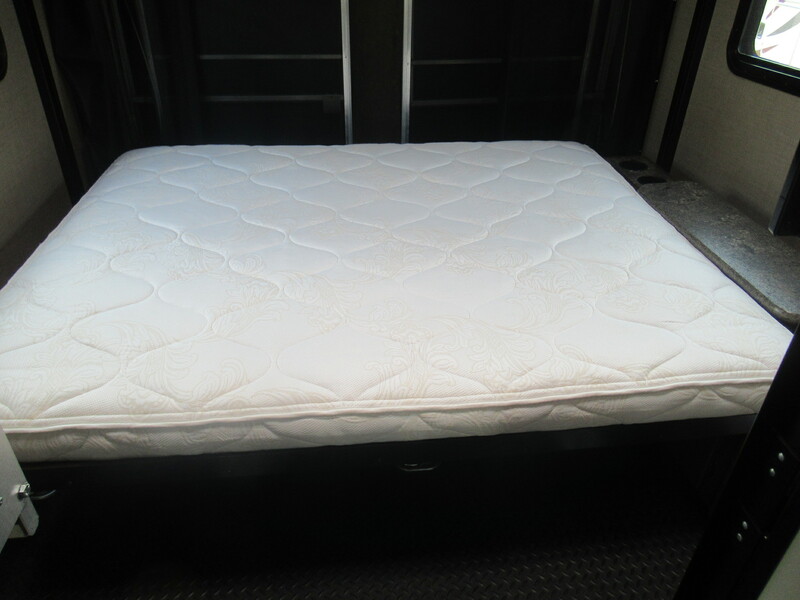 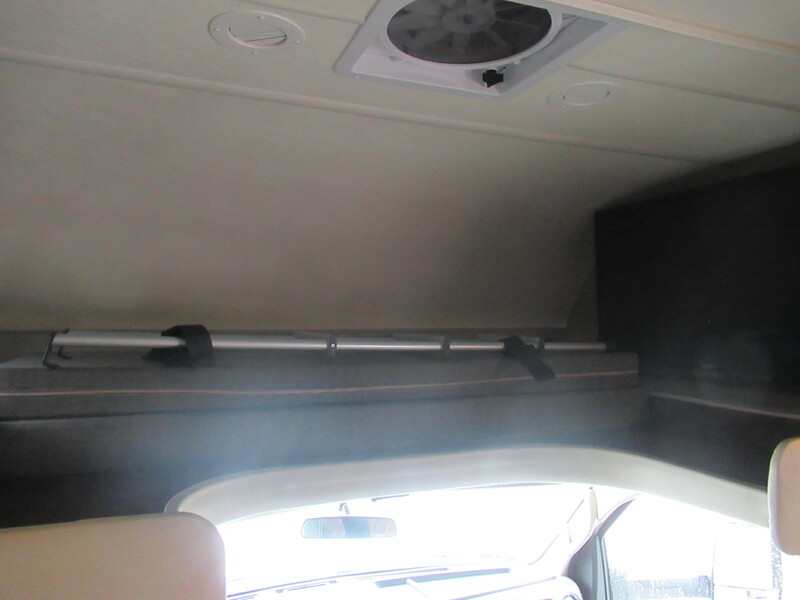 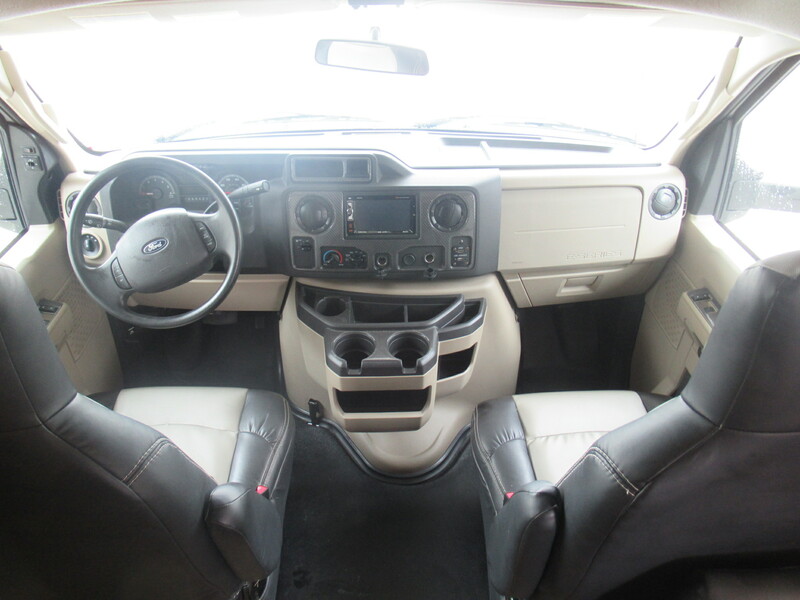 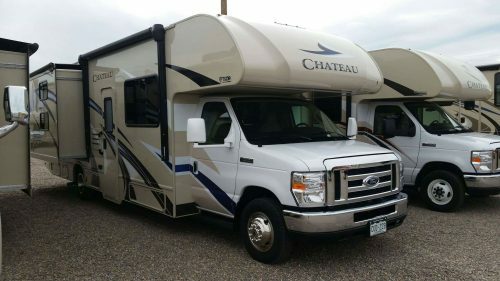 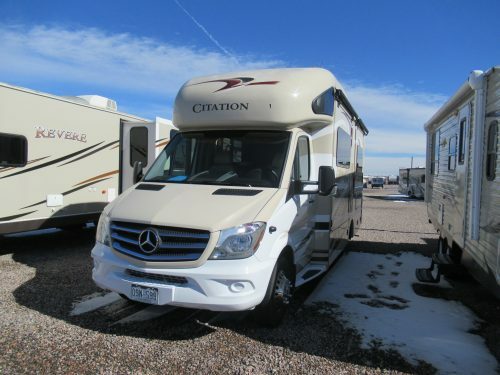 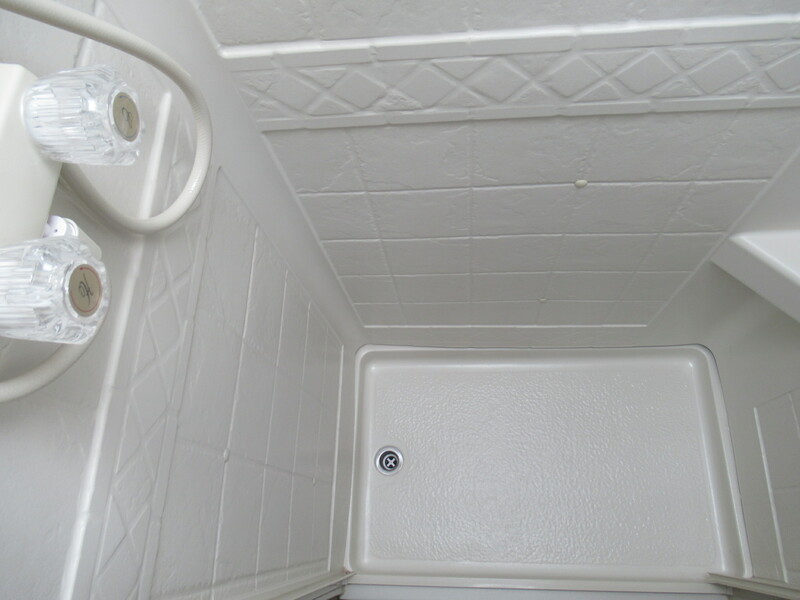 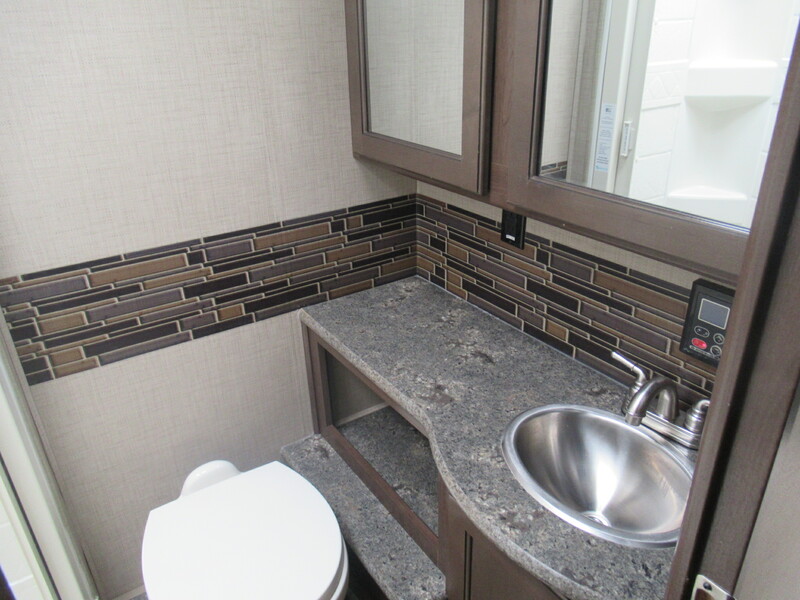 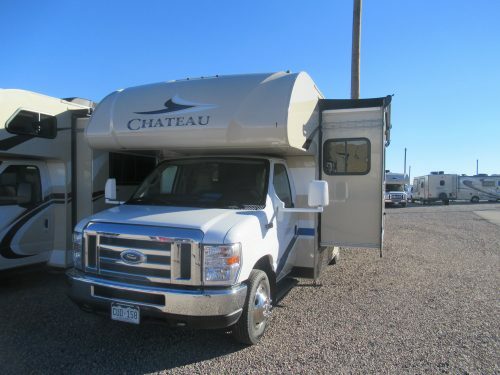 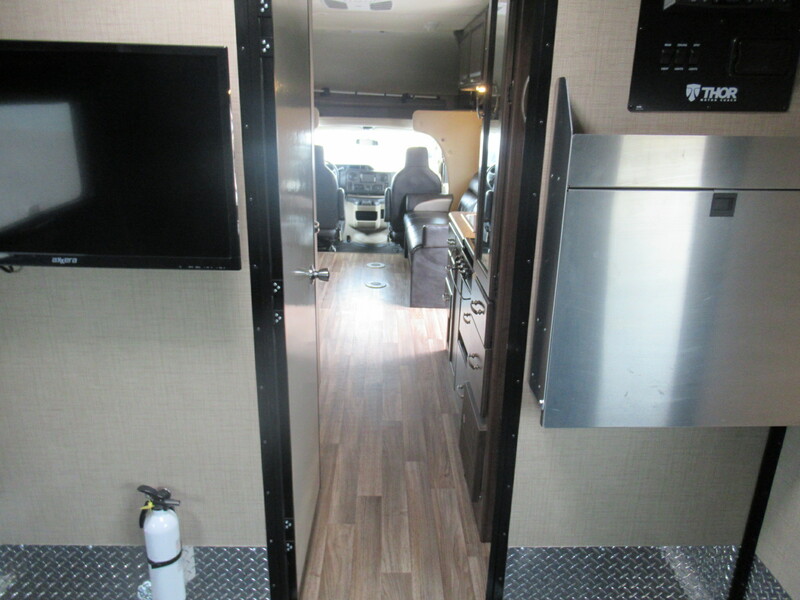 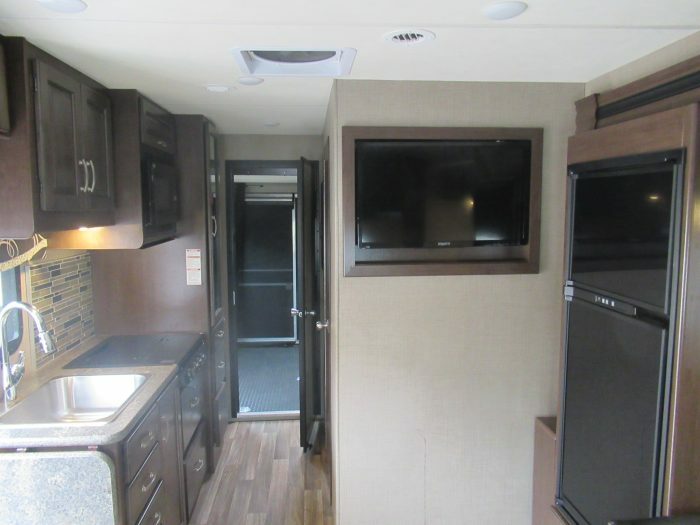 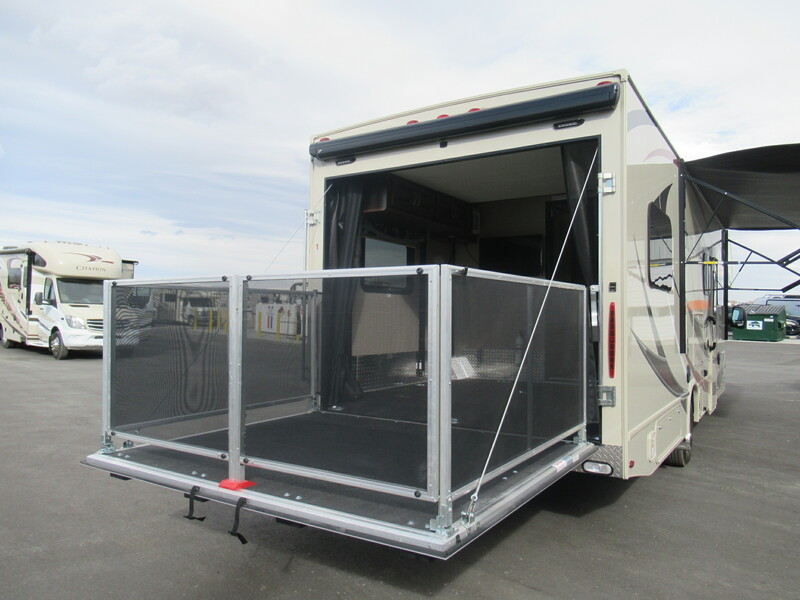 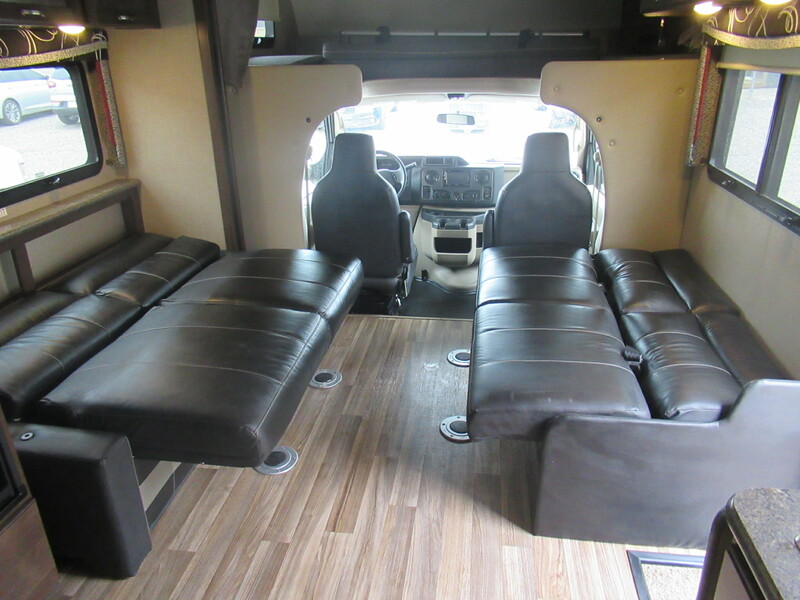 The back garage section of the RV will hold your bicycles, kayaks, motorbikes, and ATVs, etc and is completely separate from the living space of the RV for more comfort. 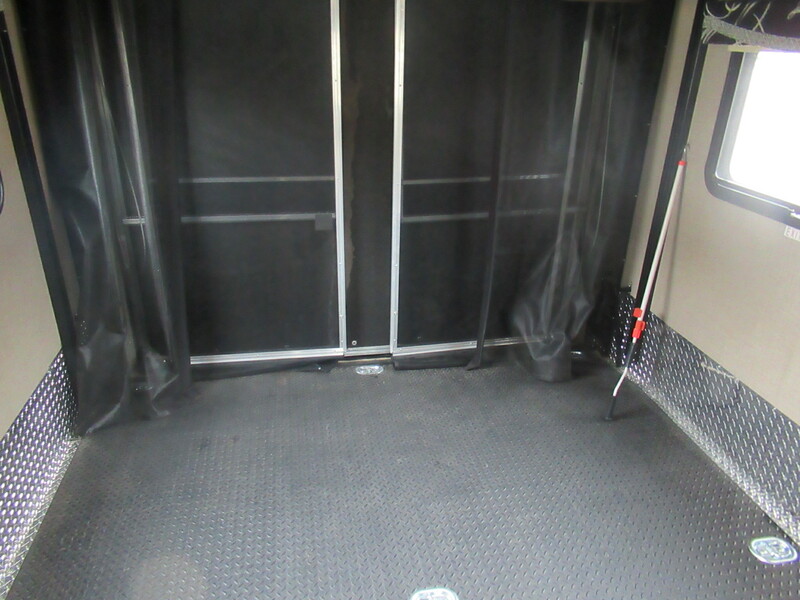 This unit also features a patio deck that extends out of this garage. 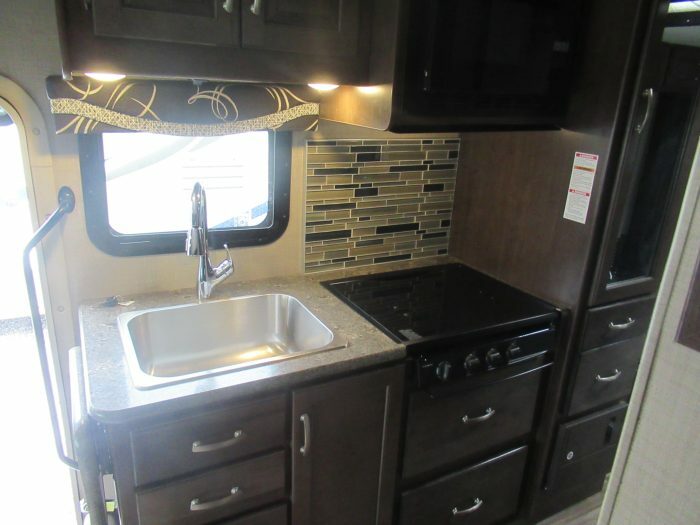 You can sit out with friends and family; grill, lounge and enjoy the outdoors from the comfort of your own private patio. 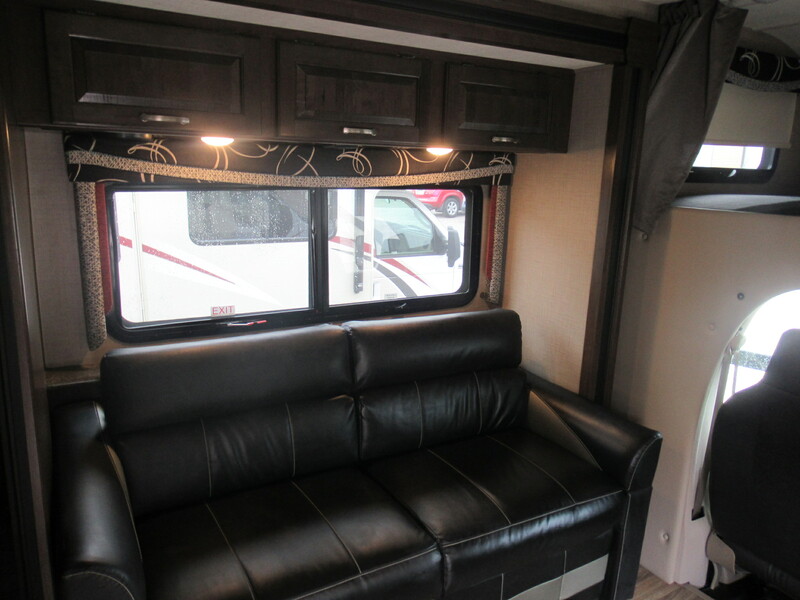 In the main living area, you’ll find everything you need to feel at home. 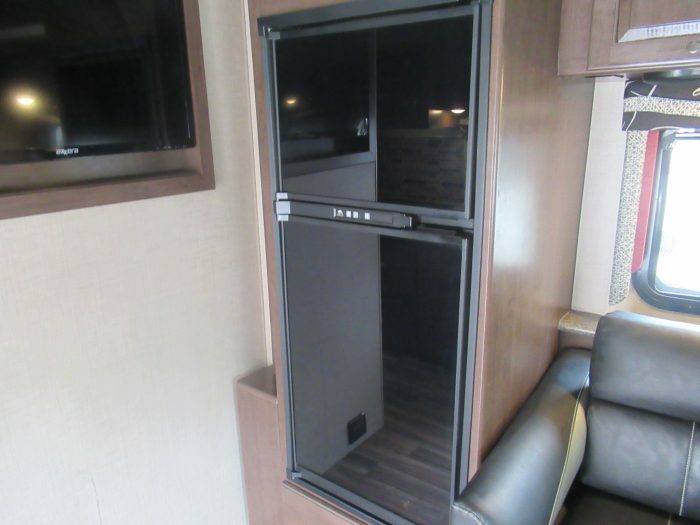 This unit comes with 4 LED TVs for when you want to wind down at night or have indoor entertainment during the day. 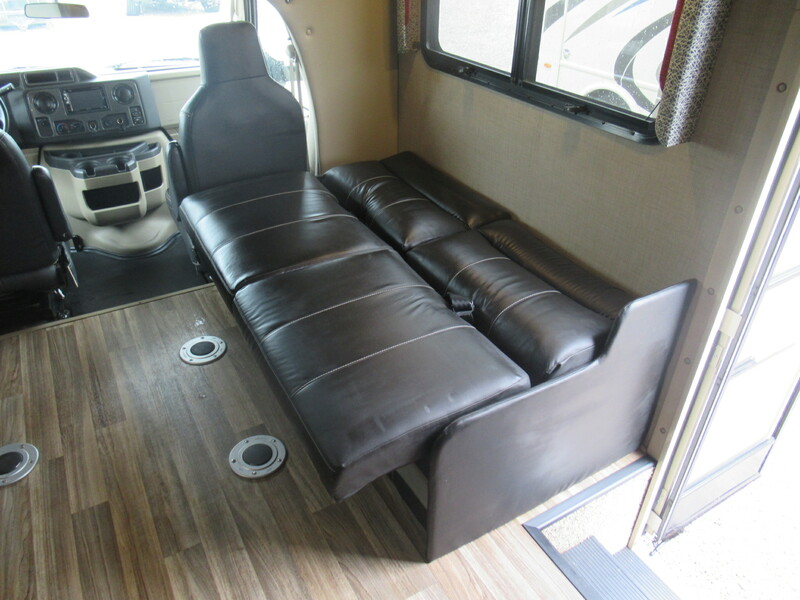 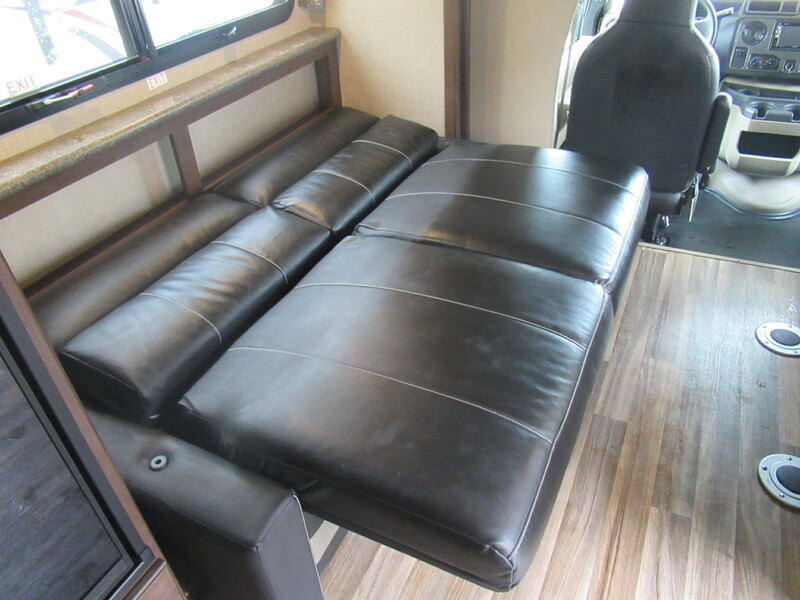 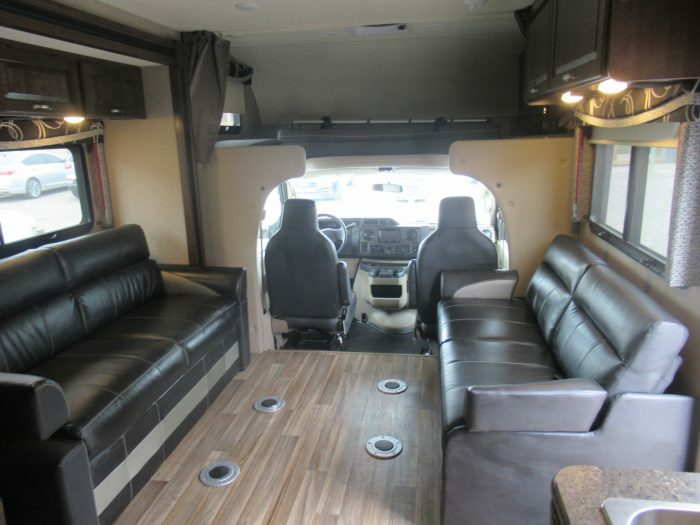 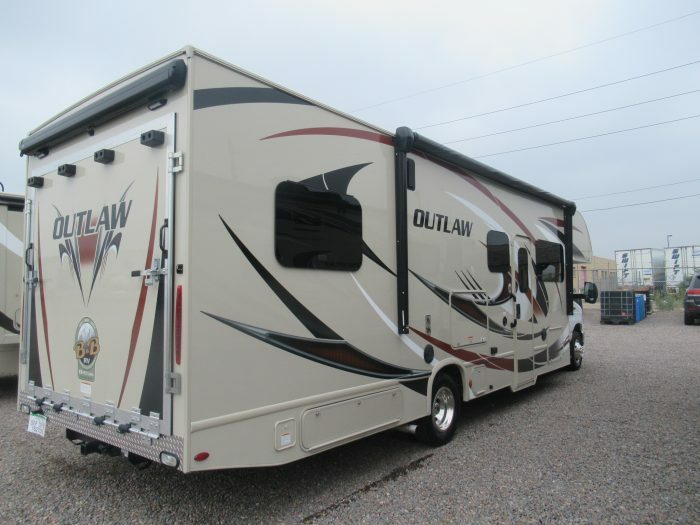 There is an overhead bunk, and black leather couches that provide a nice seating area while inside of the Outlaw. 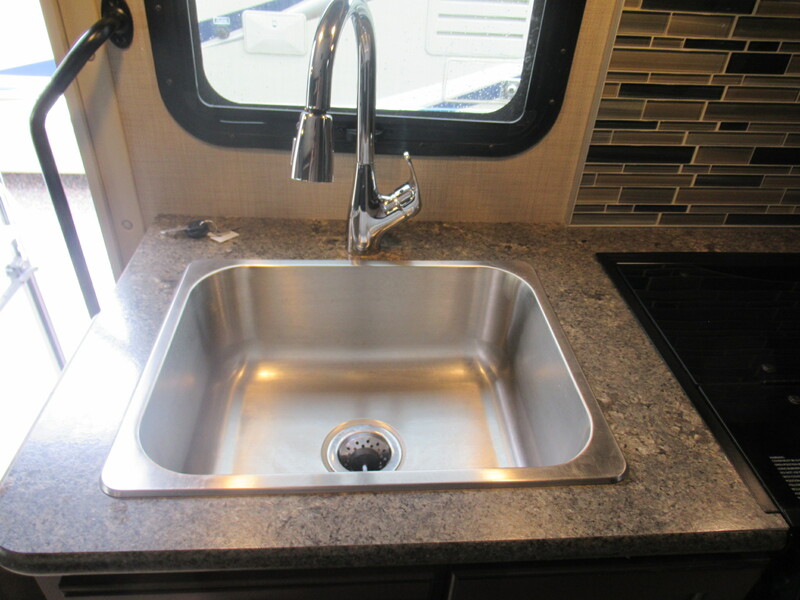 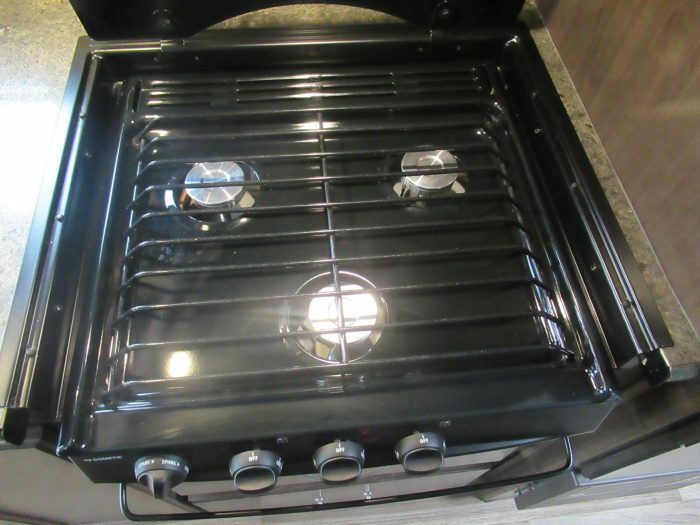 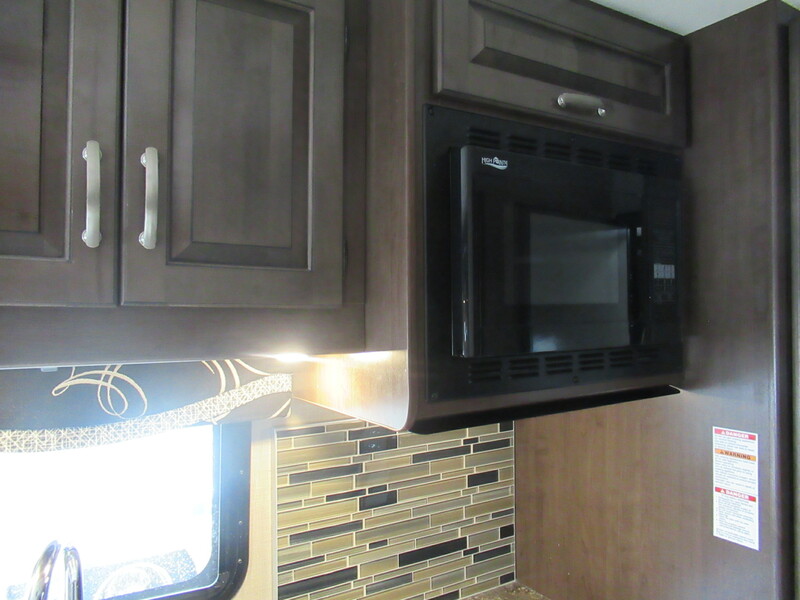 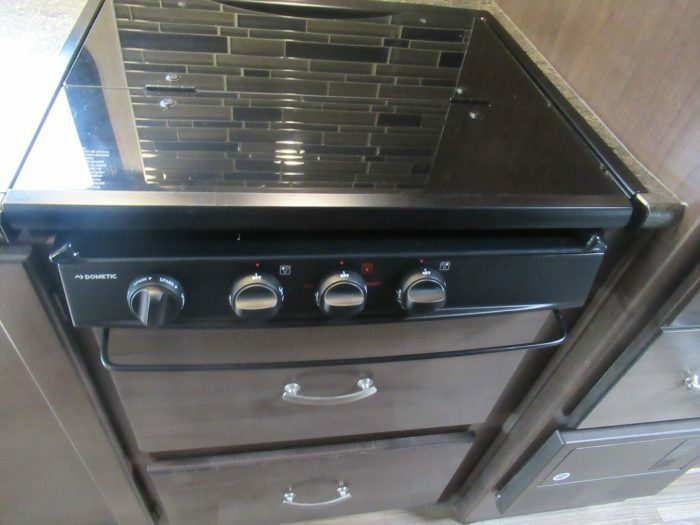 The kitchen features a 3-burner gas cooktop, sink and a 6 cubic foot refrigerator. 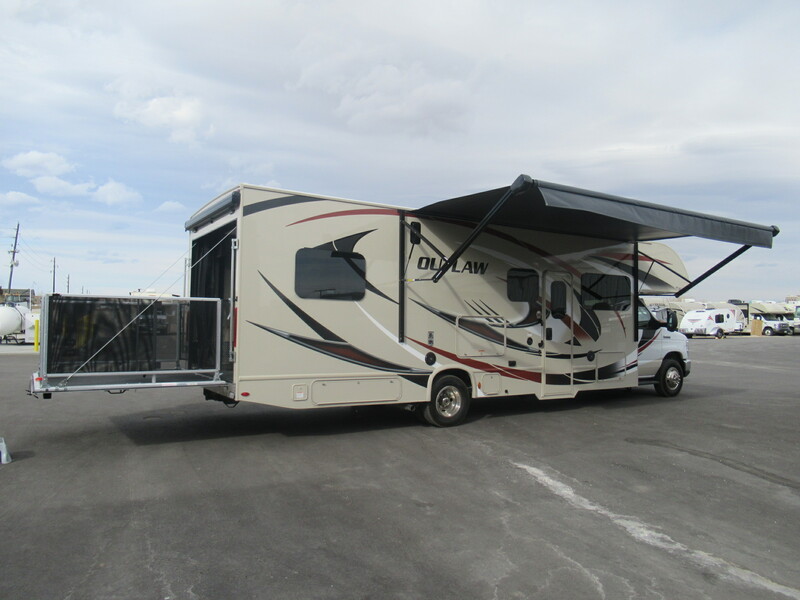 This model sleeps up to 8 people which allows for you to bring along the whole family! 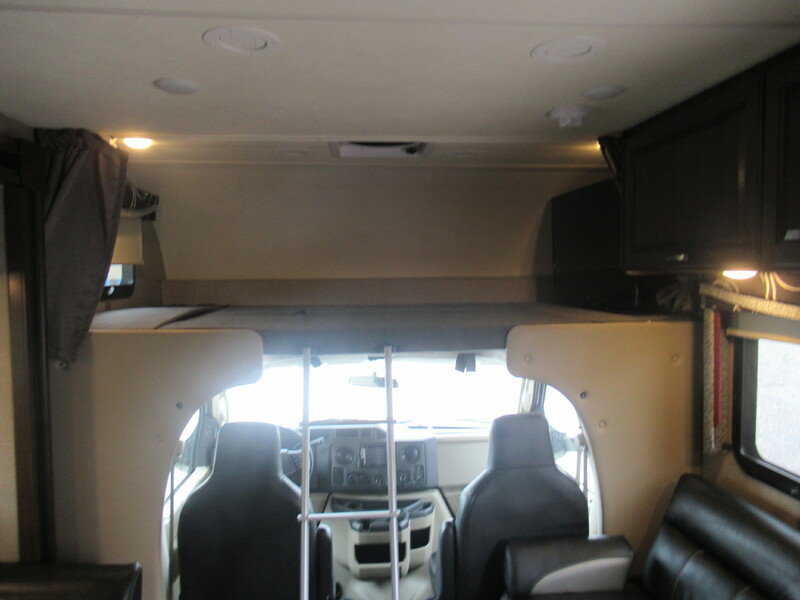 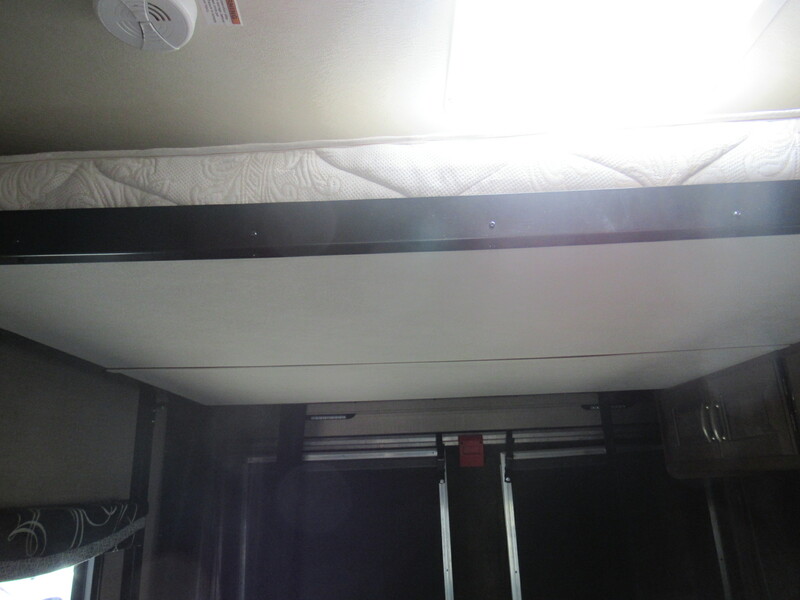 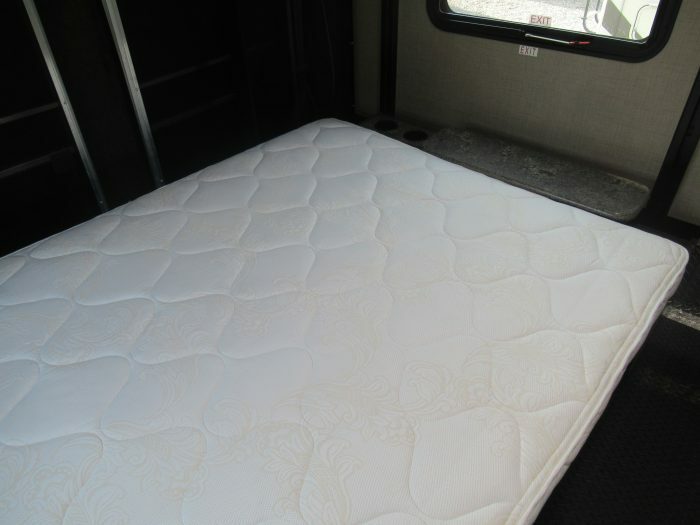 This unit also features a drop down queen bed in the back toy hauler area. 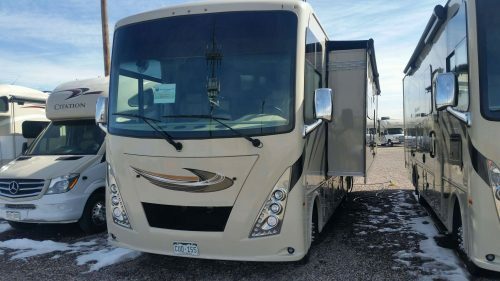 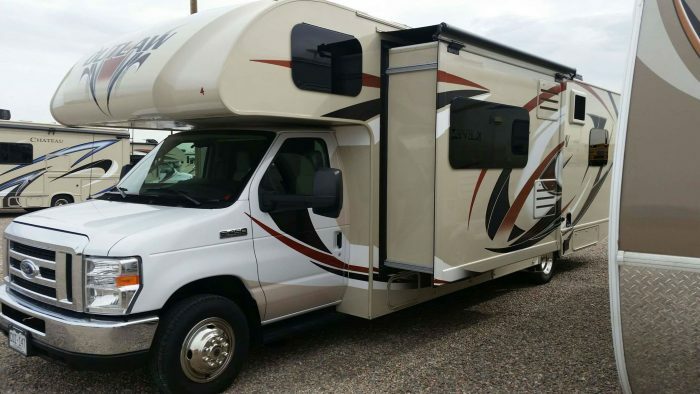 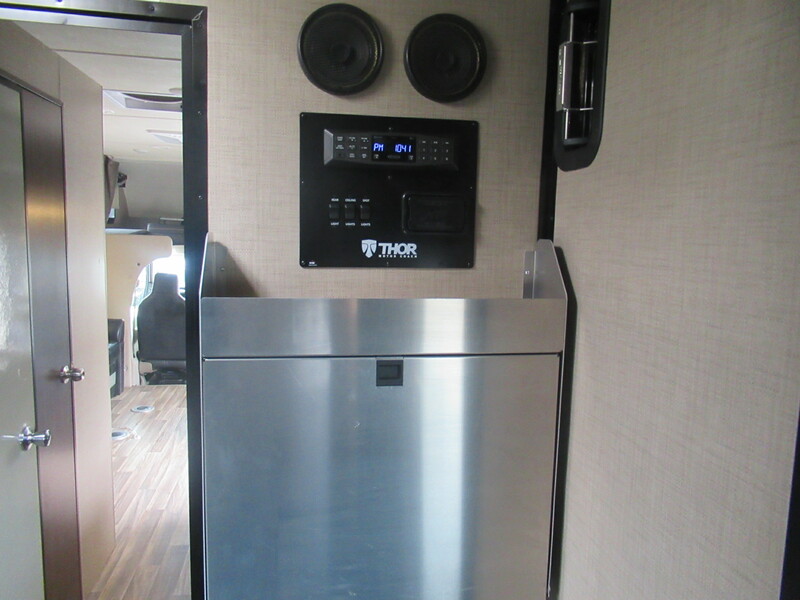 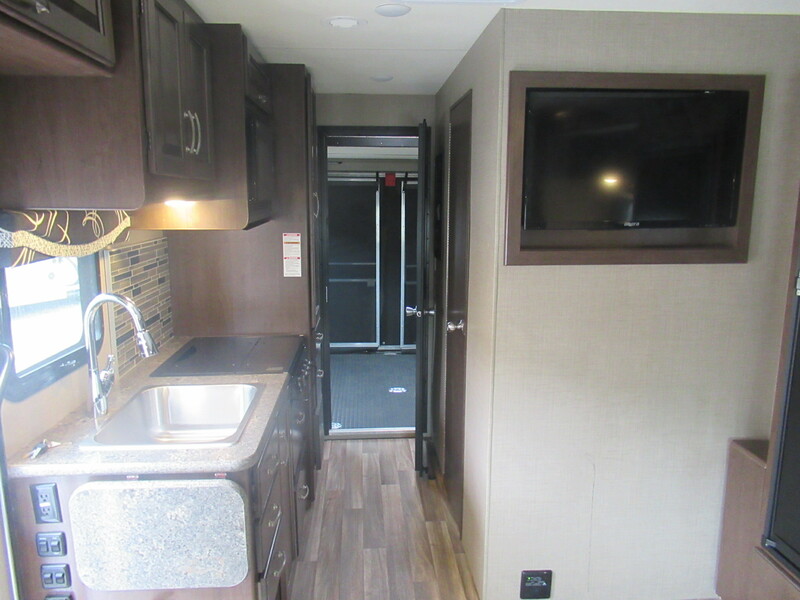 Come check out the 2019 Thor Outlaw 29J Today at B&B RV!